Intense evening light bathes freshly-fallen snow in the park's upper elevations. 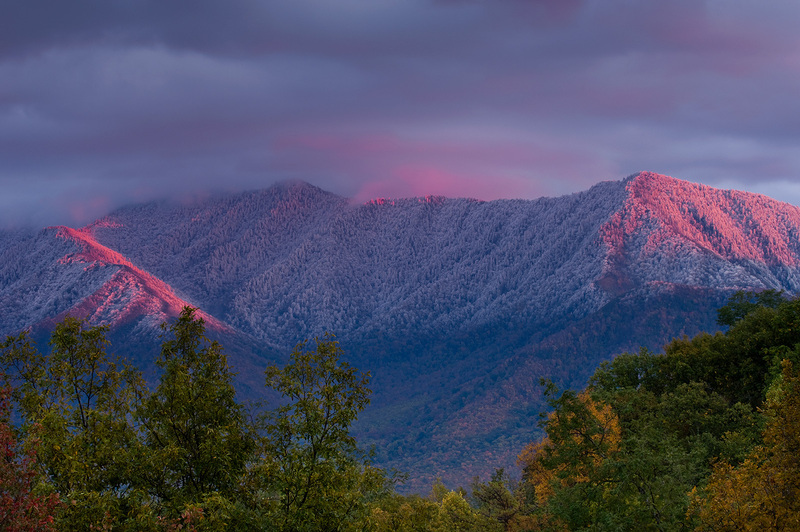 Moments when fall colors, beautiful light and snow all occur at once are indeed rare for us photographers. I was glad to have my camera setup and ready sensing something magical could happen. My hunch proved correct as the sun briefly broke through the storm clouds to cast a deep red glow on the mountainsides. This image is similar to another in the gallery, Autumn And Winter, that depicts these elements again in play all at once. . Photo © copyright by Jeremy Brasher.